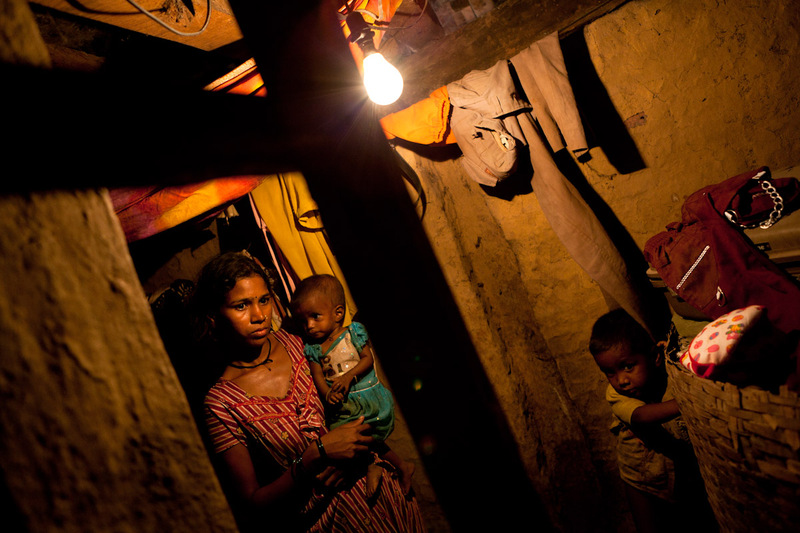 Twenty-two year old Sadhna Vigynaph Bhoye holds Lavesh, her 7-month old in her family hut. Lavesh suffers from Grade IV malnutrition, the highest ranking. Sadhna is pregnant with her third child.